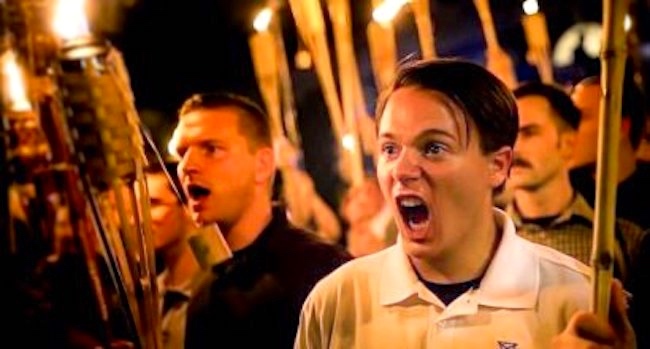 Discussions on many Facebook pages about the use of the term neo-Nazis to refer to marchers in Charlottesville VA on August 12, with their swastikas, torch-marching, Hitler salutes, chanting anti-Jewish slogans and “Blood and Soil” (Blut und Boden) — plus specifically American touches like the Confederate battle flag, KKK hoods, and open displays of assault rifles. Some participants in these discussions maintained with some passion that they called the marchers Nazis, because that’s what they were. I can’t of course legislate how people talk — but if you want both accuracy and punch, neo-Nazi is the way to go. historical a member of the National Socialist German Workers’ Party;  derogatory a person with extreme racist or authoritarian views;  a person who seeks to impose their views on others in a very autocratic or inflexible way: I learned to be more open and not such a Nazi in the studio. The historical original, plus two metaphorical extensions that abandon the specific practices and beliefs of the Nazi Party in favor of: for (2), extreme views in general; and for (3), autocratic or inflexible behavior in general. 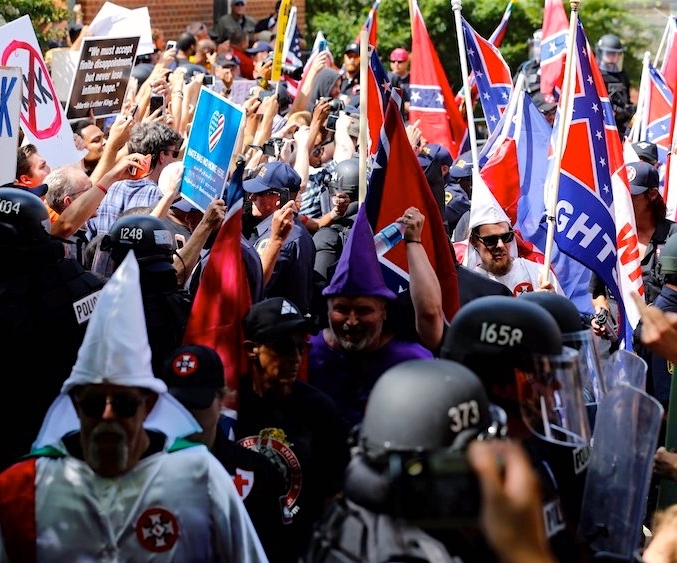 Used of the Charlottesville marchers, the historical sense (1) is simply inaccurate, and the two extensions are too bleached of content to characterize the marchers adequately. What neo-Nazi achieves is a linkage to the package of Nazi practices and beliefs, without ascribing any specific parts of the package: neo-Nazis pick some stuff from the Nazi bag, their choice, and mix it in with other bits of racism and authoritarianism, again their choice. This entry was posted on August 21, 2017 at 6:44 am and is filed under Language and poitics, Lexical semantics, Metaphor, Taboo language and slurs. You can follow any responses to this entry through the RSS 2.0 feed. You can leave a response, or trackback from your own site.